Ok, so I promised you all that I’d share the craft I made to put inside the pretty box with the card. Emily and Zach had registered for some Fiesta dinnerware that I thought was really pretty. Unfortunately, when I looked at their registry, most of it was bought already. So I decided to make something to go with it. My mom had given me these really pretty red wooden beads that had belonged to my grandma. When she gave them to me, I wasn’t really sure what I could do with them, but then it came to me. 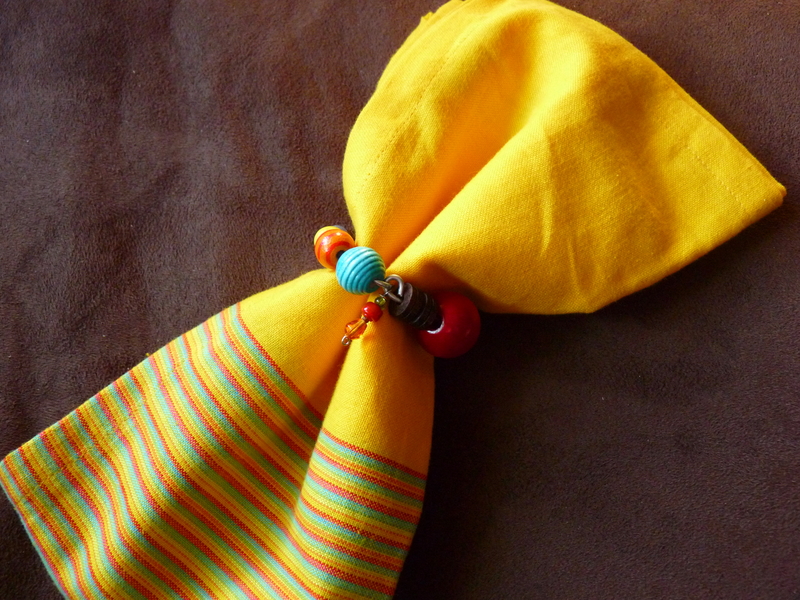 Napkin rings! 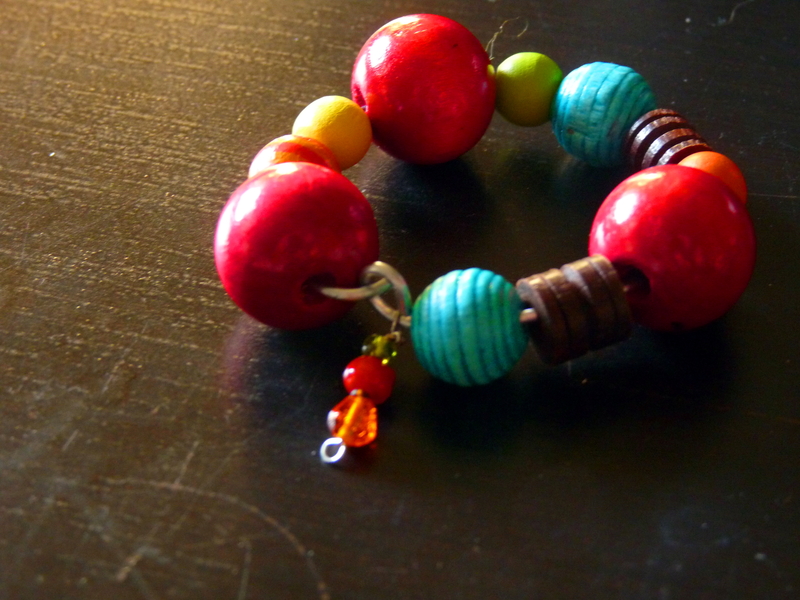 I decided not to do solid red beads, but to mix other colored beads with them to create a casual, fun, fiesta feel. These were the beads I had to work with. 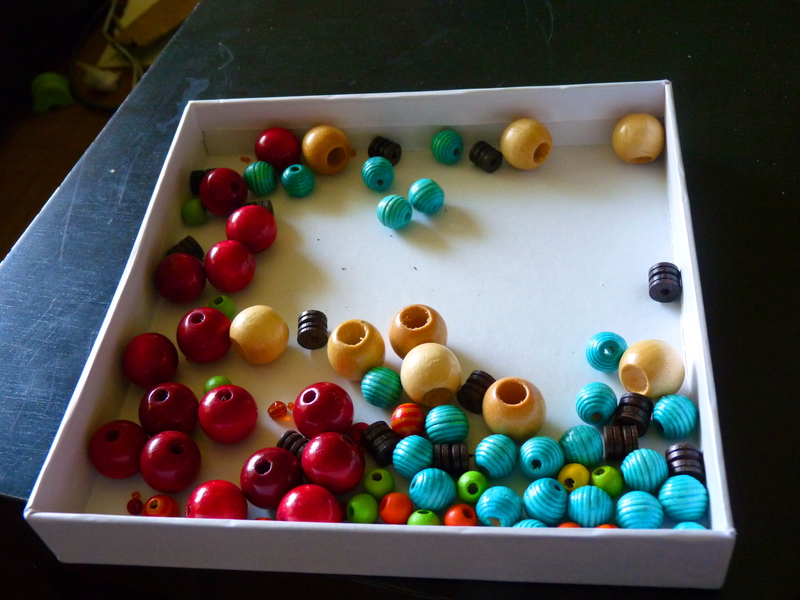 My mom had given me the natural wooden beads as well, but I decided not to use them because the hole in the bead was too large, so they wouldn’t have sat well on the wire with the other beads. 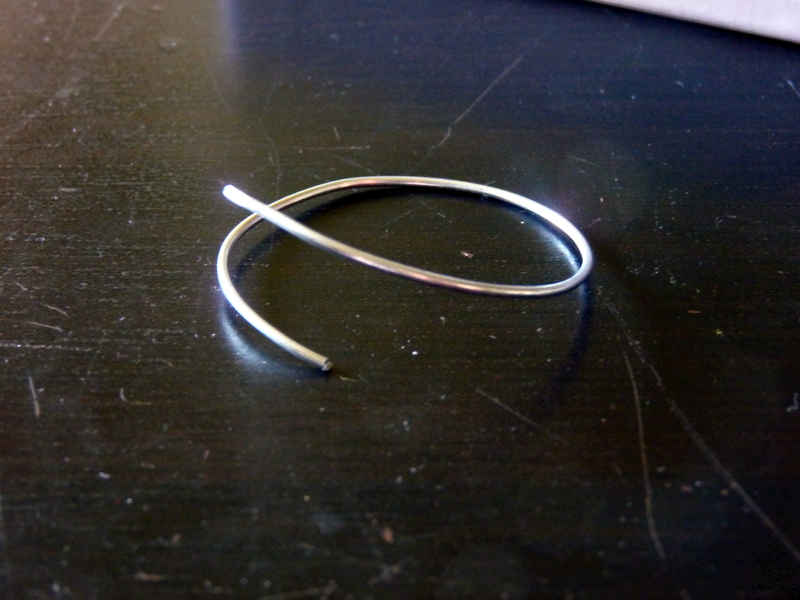 I started out by shaping some heavy-gauge wire into a napkin ring shape. At first I thought I wanted to make one like the one above, but when I started threading beads on it, it was clear that it would be far too large and bulky with the beads I had. 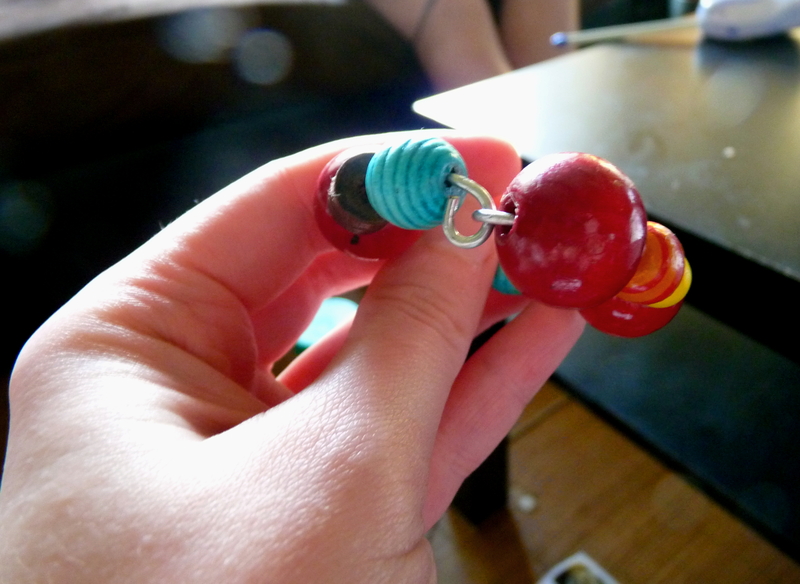 I still didn’t have a totally clear plan for making these, and I primarily had trouble figuring out how to do the ends. 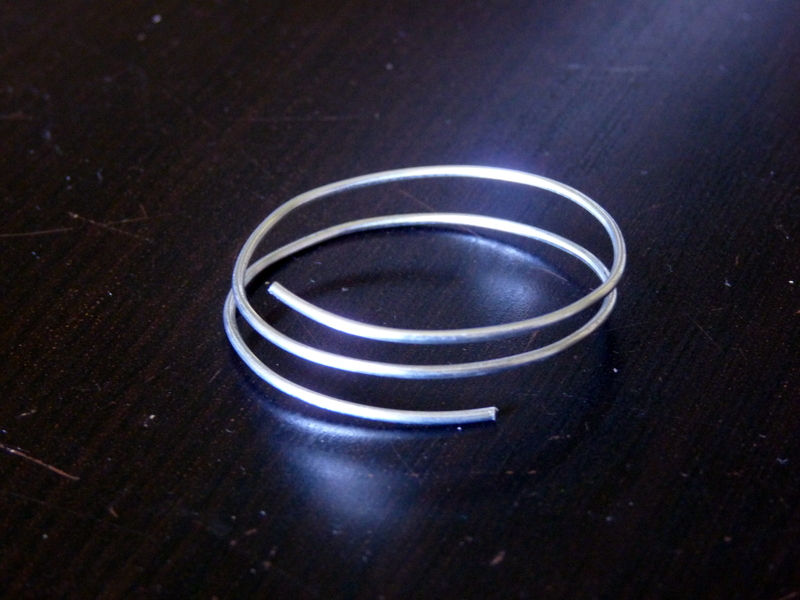 I wanted to use a heavy-gauge wire so the finished napkin rings would hold their shape well. 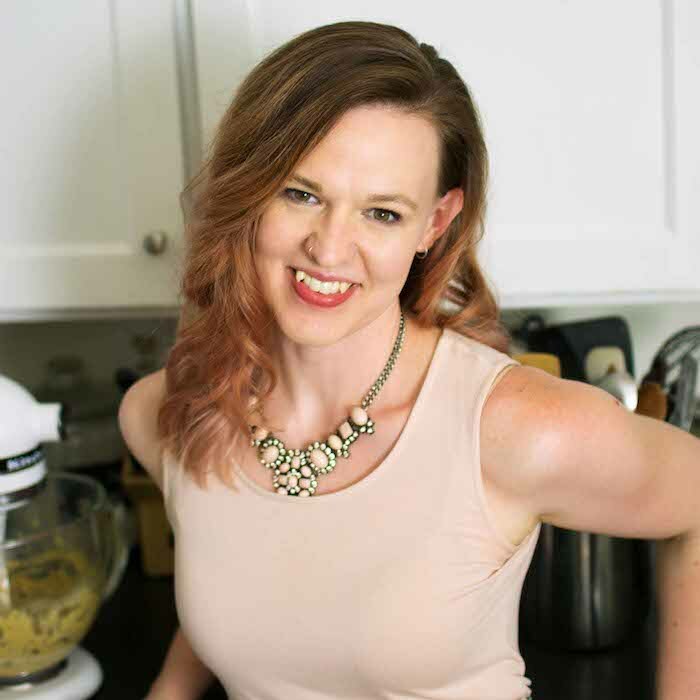 But because of that, it wouldn’t be possible to bend the wire in an unnoticeable manner to finish off the ends or wrap it around a bead or anything. After fiddling around for a while, and after consulting my sister, I decided to make a visible fastening. 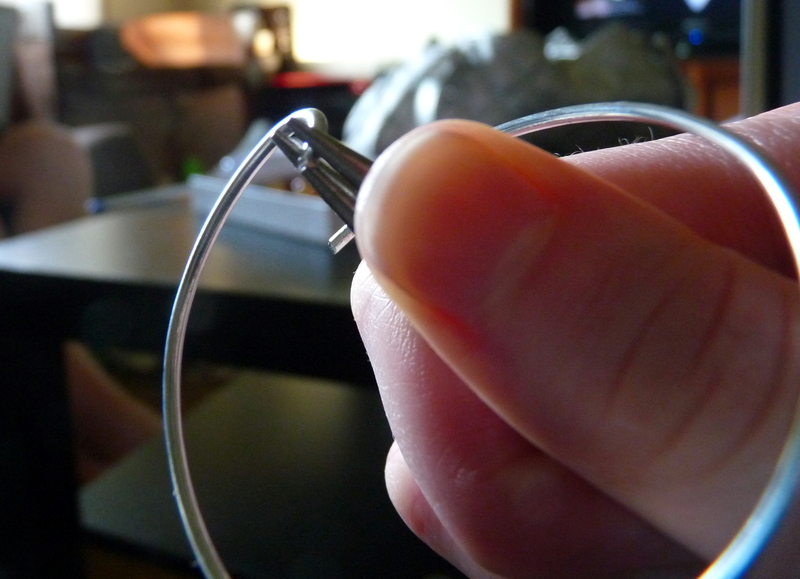 On one end, using round-nose pliers, I made a loop. Then I turned the loop sideways. 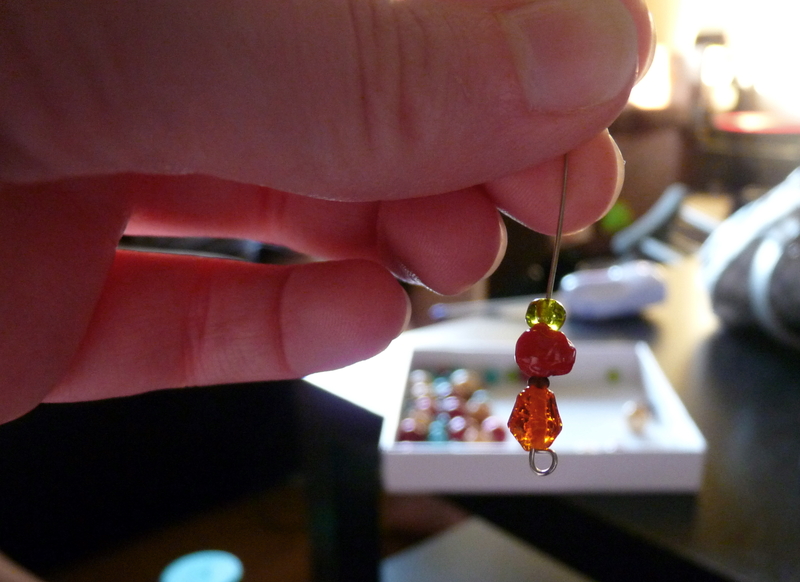 I strung all the beads on, leaving room to make a hook on the other end. I used the same pliers to bend the end to a 90〫angle. 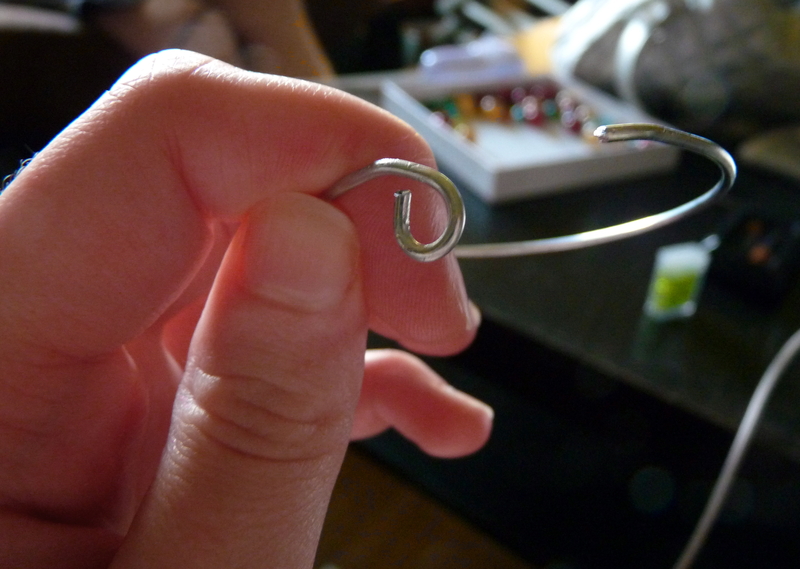 Then I slipped the hook into the loop to fasten. Done! Oh, wait, no I’m not. 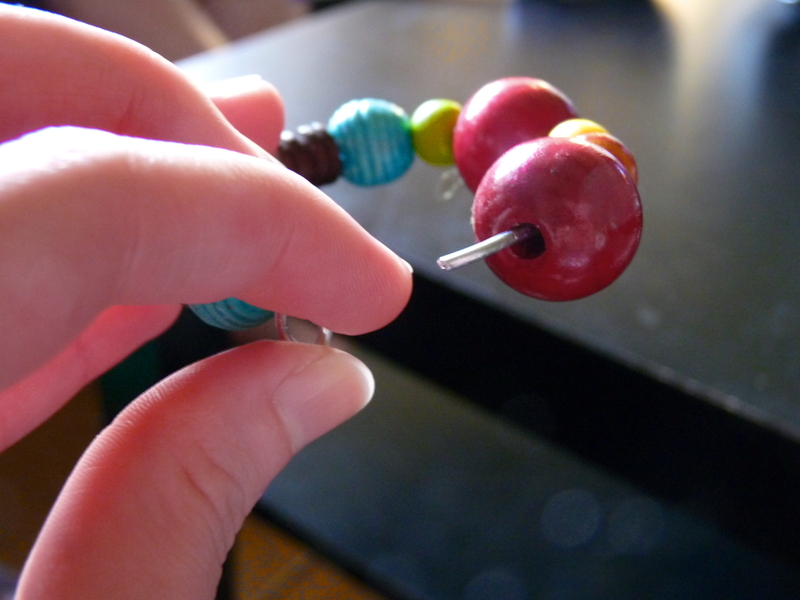 I used smaller beads on a thinner wire to create a drop of beads to add to the fastened area. There it is, all put together. I found the napkins at Pier1. They’re so sunny and festive. I even found a super cute candle to with them. There it is all together. I love how bright it is. Grandma would be so proud of you and happy that you found something special to do with those beautiful beads!